Furniture is expensive. Instead of replacing, restore. 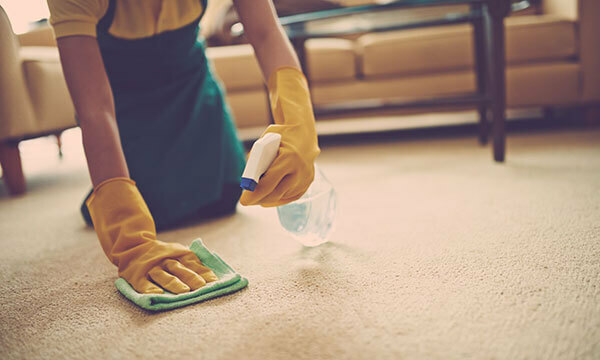 At OCD Home Carpet & Tile Cleaning, our IICRC-certified technicians are experts at cleaning a large variety of different upholstery fabrics for couches, chairs, ottomans, loveseats, and more. When we steam clean your upholstery, we use state-of-the-art steam cleaning equipment and Green Seal certified products that are certified to be safe for the environment, kids, and pets. Whether you need to clean a sectional sofa in Irvine, a set of upholstered dining room chairs in Villa Park, or a mattress in Brea, we have the skills, advanced tools, and expertise to get the job done quickly, affordably, and thoroughly. We offer honest, flat-rate prices and stand behind our work with our industry-leading "Every Inch Guarantee". In addition, we are a Google Guaranteed Partner, which means we have passed Google's strict screening process, including a background check, license and insurance check, and reviews and ratings screening. Furniture is often the pride of a home and in most cases, expensive and sentimental. We treat your home like it is our own, as we completely understand the value of our client's property and possessions. We take extra safety measures and follow specific procedures and protocols to ensure that no damage occurs. This includes wearing protective booties inside your house, and using corner guards and duct guards to protect walls and edging. We start by completing an expert assessment of your furniture's upholstery fabric, then select the ideal solution to clean your upholstery that is formulated to break down organic spills, body oils, and dirt. 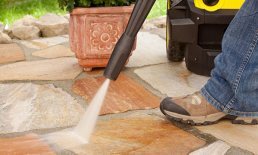 Our deep cleaning system includes special attachments that have been specifically designed for cleaning upholstery. After being agitated and scrubbed manually, the fabric is cleaned with our low moisture steam cleaning system that deeply yet delicately cleans the furniture fabric and removes all traces of dirt, contaminants, odors, and even the most stubborn stains. OCD Home Carpet & Tile Cleaning boasts the fastest drying times in the industry, leaving your furniture feeling and smelling fresh in just a few hours. We also offer deodorization services to sanitize and refresh your upholstered furniture and other surfaces. At the customer's request, we can apply a Green Seal Certified protectant, which is completely eco-friendly and acts like an umbrella-like layer to protect the surface of your upholstery from spills and stains. It also allows for easier stain extraction during routine maintenance. 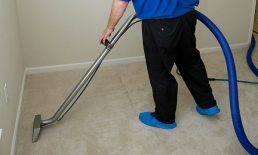 OCD Home Carpet & Tile Cleaning provides exceptional mattress cleaning for Orange County. Our experienced staff disinfects and removes all allergens, dust mites, and other particles found within your mattress layers, allowing you to lengthen the life of your mattress. Mattress cleaning also helps to prevent and kill bed bugs. Contact us today to learn more or to schedule our professional upholstery cleaning service in or near Irvine, Yorba Linda, Tustin, Orange, Brea, Anaheim Hills, Placentia, and surrounding areas. Excellent attention to the detail cleaning. Jordan did a miraculous and successful job in cleaning a antique white sofa and a white linen tufted queen headboard and footboard. Without his expertise in cleaning, both pieces would have been a loss. Many thanks to Jordan and his OCD Home Carpet & Tile Cleaning. I highly recommend his services.